Homophobic fliers were posted at a popular park in Palo Alto, and they've captured the attention of city leaders. Several posters were found at Mitchell Park on Sunday. One of the posters that was put up in a restroom at the park criticized Palo Alto libraries for displaying books about LGBTQ issues during Pride Month. Another poster was discovered at the Magical Bridges playground. They've since been taken down, but the city didn't stop there. 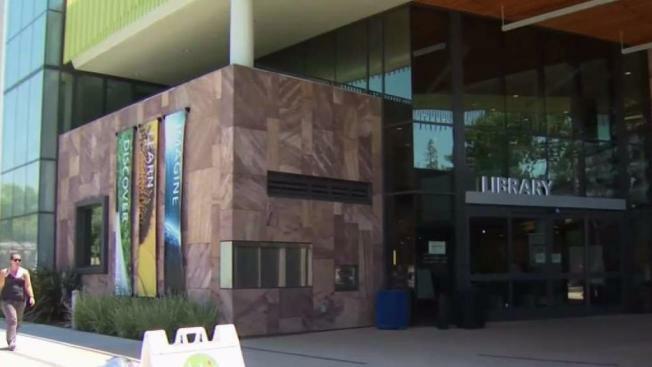 Palo Alto Mayor Liz Kniss responded with a letter posted on the city's website. She said she was horrified. "I don't think we can prevent this, but what we can do is indicate to the public how abhorrent it is, and we won't take it without fighting back," Kniss said. On Monday night, the entire City Council reaffirmed Palo Alto's support for the LGBTQ community. A member of the city's human relations commission said the homophobic sign is a clear reminder that even in a city as progressive as Palo Alto, there is still much work to do to make sure everyone feels welcome. The city says it doesn't know who put up the signs. If they're caught, they could face a misdemeanor for posting signs on public property.